Sangeet Ratna Prabir Bhattacharya, a torchbearer of the new generation of Sitarists, continues the legacy of the Maihar Gharana. 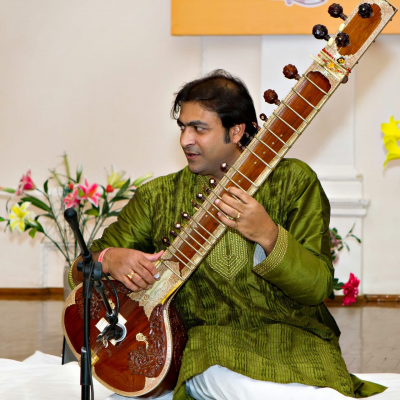 He has extensively trained by the doyen of Maihar Gharana Pt. Deepak Choudhury, a senior disciple of Pt. Ravi Shankar. Recipient of prestigious National Scholarship , sponsored by Govt. of India. Received title of "Sangeet Visharad" by the Pracheen Kala Kendra, Chandigarh and of "Sangeet Ratna" by the Sarba Bharatiya Sangeet O Sanskriti Parishad, Kolkata.